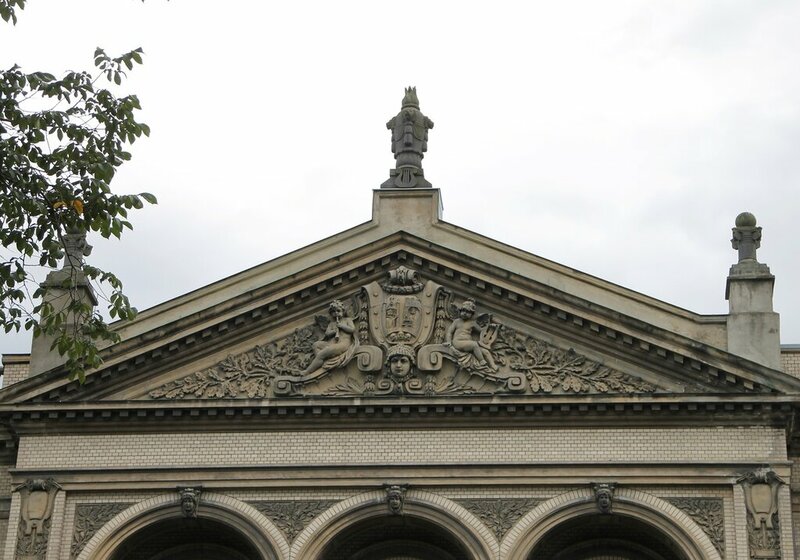 Left of Our Lady Church is the Masonic hall (Frimurerlogen map). The construction of the building for meetings of the Lodge began in 1899. Project authors - architects Carl Norum and John Christensen, the interiors have developed Axel Guldahl senior. 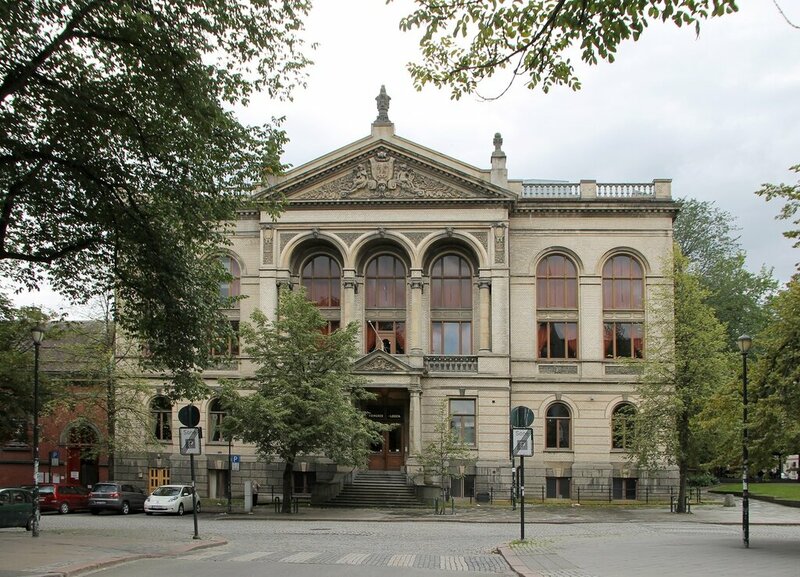 The building was opened in 1902 by king Oscar II, Grand Master of masons in Norway and Sweden. Since it was built until 1934 part of the building was occupied Trondheim stock exchange, controlled by members of the order. The building now used as a concert hall. First Lodge in Norway, established in Christiania (now Oslo) Danish-Norwegian king Frederick in 1749. In the second half of the 19th century was established lodges in Bergen, Drammen and Trondheim. Trondheim Lodge was established in 1882 and was named after the Nordlyset (Northern lights). The main aim of his organization, the masons put the improvement of human nature of each of its members, and the establishment of universal brotherhood of enlightened people, through his acts and ideas of non-violent would help build a better world on earth. The two main principles of Masonic organizations, non - participation in politics and the confession of the basic precepts of Christianity; but the religious tolerance of the masons is very wide, the official affiliation with any denomination, not even Christian, they do not play a role. There are even non-religious Masonic organization, the basis of ideology which constitute the principles of humanism. Norwegian Freemasonry different from other your openness - members of the lodges who held state and even religious posts, did not hide his involvement in Freemasonry. In a particularly strong position of the Freemasons in Norway was in the early 20th century. the Right of the building is a monument Arve Tellefsen, a famous Norwegian violinist. 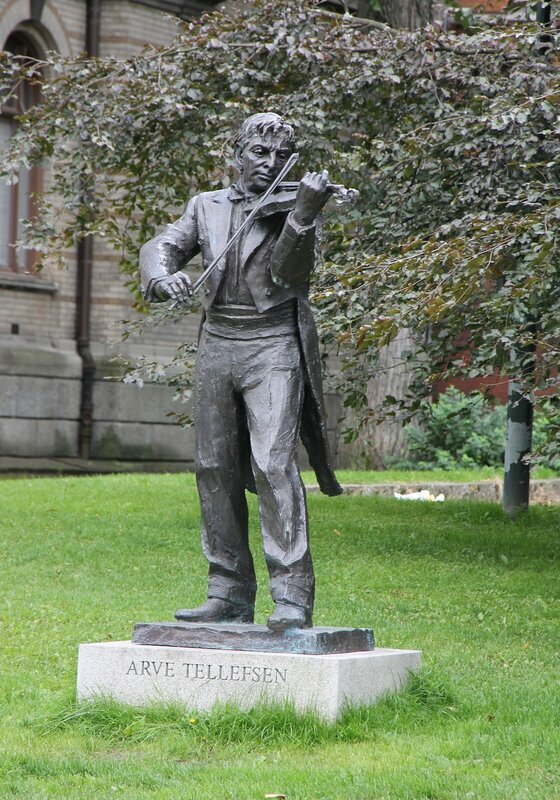 The musician was born 14 December 1936 in Trondheim, where for 6 years he studied at the music school.In 1955 he entered the Conservatory of Copenhagen, and in 1959 he made his debut in the violin competition at the University of Oslo. Subsequently played with several leading orchestras and conductors, and has released several albums and received many awards. The monument was opened in 2006. 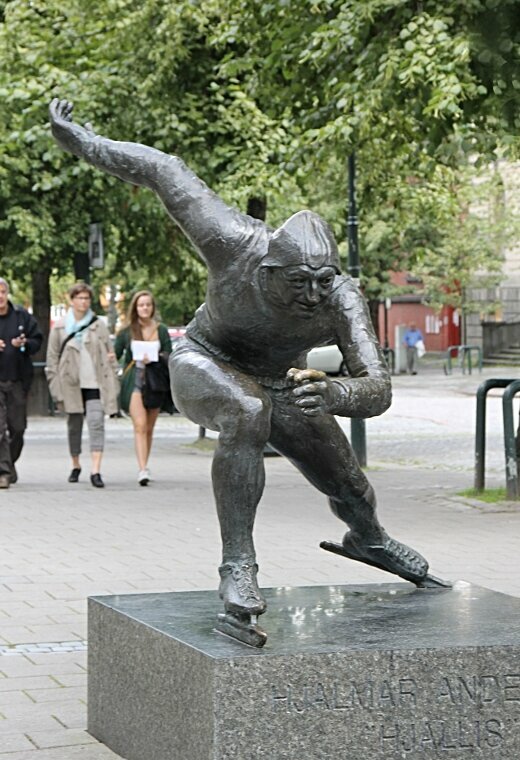 Across the street is the monument to three-time Olympic champion, repeated world champion, Europe and Norway, the world champion Johan Hjalmar "Hjallis" Andersen.